My name is Molly Smith and I was born in Cincinnati, Ohio and graduated from St. Louis University in Missouri with a B.A. in History. I then moved to Puerto Rico, where my husband and I established a family. During my 15 years on the island, I learned the language and developed a deep appreciation for the culture. I miss being able to spend a random day in Old San Juan or at one of my favorite beaches. Shortly after my husband’s job brought our family to Richmond, I began working at CrossOver Healthcare Ministry as the Vision Clinic Coordinator. I was then promoted to Volunteer Program Manager, where I put my unique skills to work by managing CrossOver’s cohort of volunteers, including recruiting and training new volunteers. Working at CrossOver has given me a front row seat to the giving nature of the Richmond community where volunteerism, philanthropy, and putting others first are second nature. What is the focus of your work? Volunteers are the backbone of CrossOver’s daily operations. 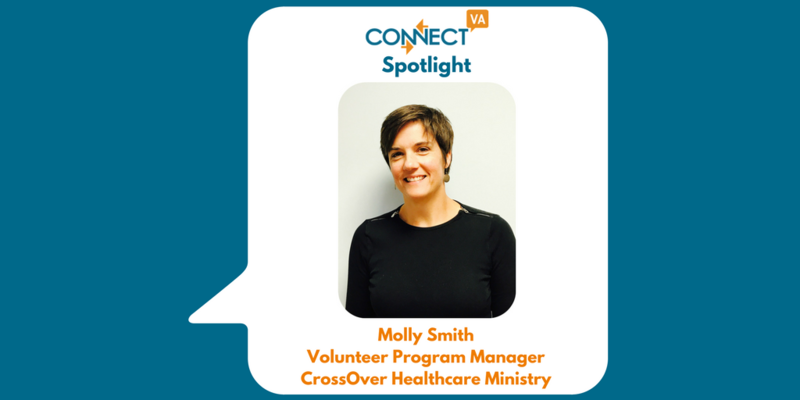 The focus of my work specifically is the recruitment and training of new volunteers, whose service ultimately supports CrossOver’s mission to provide high-quality health care, promote wellness, and connect community talents and resources with people in need in the name of Jesus Christ. As new personnel needs arise at CrossOver, I also develop new volunteer positions and seek qualified candidates to fill those positions. In FY 2017, CrossOver volunteer base was made up of 587 volunteers who gave 32,435 hours of service. Among our volunteers are hundreds of licensed healthcare professionals, including physicians, nurse practitioners, physician assistants, nurses, dentists, pharmacists, counselors, and eye-care professionals. Thanks to our volunteer-driven model of care, CrossOver can maintain a low cost-per-patient-visit and provide the greatest amount of specialty care to low-income, uninsured patients in greater Richmond. The demand for CrossOver’s services continues to grow. CrossOver’s patient population is comprised of those who are uninsured and whose incomes are at or below the 200% of the Federal Poverty Line (FPL). Our patient population consists of two groups: those who fail to qualify for Medicaid as an adult in Virginia due to stringent eligibility criteria, as well as a large multi-cultural immigrant population. For the region where most of our patients reside, if a single parent of two children earns more than $7,908 annually, they do not qualify for Medicaid in Virginia. CrossOver’s patient population is incredibly diverse and includes immigrants and refugees from over 100 different countries of origin. Even though CrossOver serves over 6,500 individuals through its programs each year, this represents just a fraction of those-in-need. According to the most recent Virginia Atlas of Community Health, 497,677 Virginia residents are uninsured and are at or below 200% of the Federal Poverty Level, including more than 63,954 in the greater Richmond area. CrossOver is forced to turn patients away weekly because we cannot accommodate the high numbers who need access to medical care. The most rewarding part of my work is matching a volunteer with a position that truly engages them and provides a source of fulfillment. CrossOver needs volunteers to operate, but I believe in return we can give many of our volunteers the opportunity to serve their community and use their specific skills to help their neighbors in need. What are some major challenges you have faced and how you handled them? To date my biggest challenge has been learning the logistics of managing the more than 500 volunteers that make our clinics run! I’ve been able to handle this challenge by working collaboratively with CrossOver staff and volunteers. By working closely with the clinic managers and program managers, I have been able to better identify volunteer needs in the clinics and recruit volunteers to meet those needs. What would someone be surprised to know about your organization? I think one aspect of CrossOver that someone would be surprised about is the collaborative nature of our programming and model of care. CrossOver has partnerships with other safety-net providers, local non-profits, social service agencies, government entities, philanthropic foundations, corporations, and the faith community. In addition to offering a truly comprehensive range of programs, including primary care, chronic disease management, medication and medications management, dental, vision, mental health counseling, OB/GYN, HIV diagnosis and treatment, social work case management, and community health education, CrossOver partners with other safety-net providers in the Metro Richmond area so that we can provide services to their patients that are not offered through their organization. 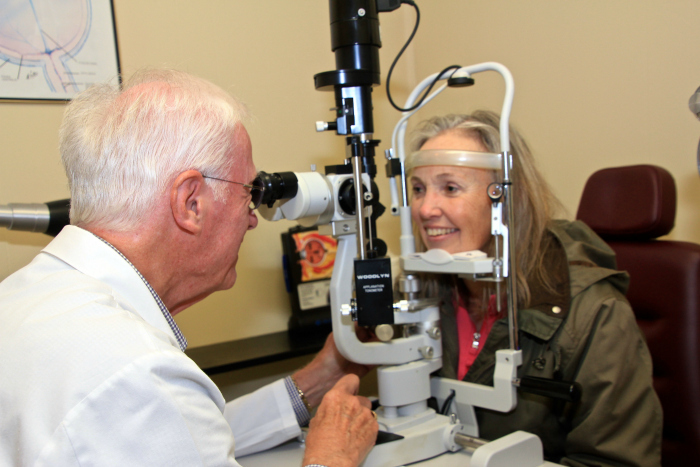 For example, CrossOver’s Vision Clinic provides eye care, including vouchers for eyeglasses, to patients from Goochland Free Clinic and Family Services, the Center for Healthy Hearts, St. Joseph’s Outreach Clinic, the Free Clinic of Powhatan, the Richmond Behavioral Health Authority, Capital Area Health Network and Health Brigade. CrossOver also operates the Community Pharmacy, the only pharmacy in Richmond licensed to a free clinic. 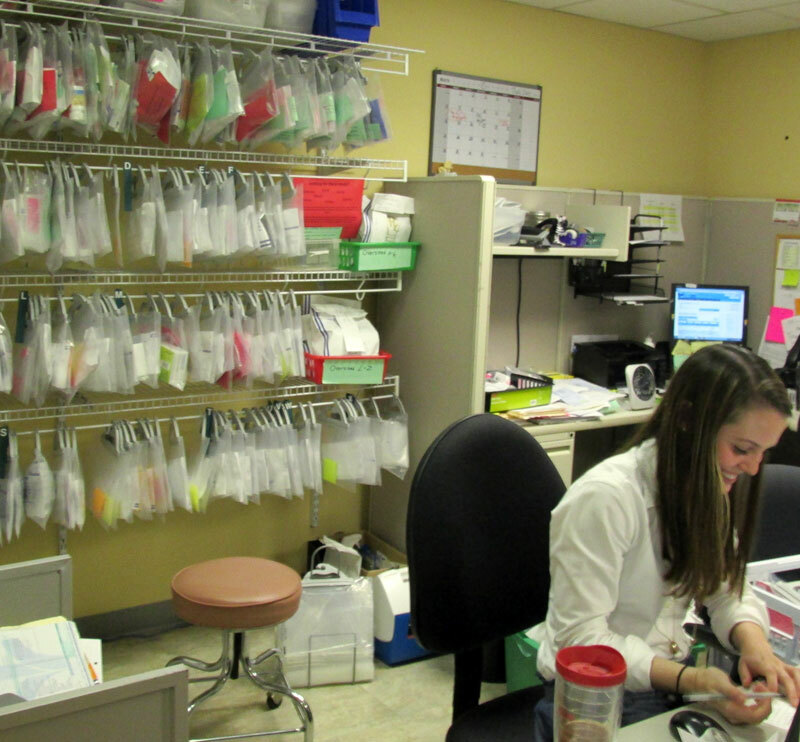 In addition to providing medications to our own patients, the Community Pharmacy provides medications to patients from Health Brigade, the Center for Healthy Hearts, the Free Clinic of Powhatan, Bon Secours Care-A-Van, Goochland Free Clinic and Family Services, and St. Joseph’s Outreach Clinic. Do you have any interesting initiatives or programs on the horizon? CrossOver is always exploring new initiatives and projects that enable us to better meet the needs of our patient population. 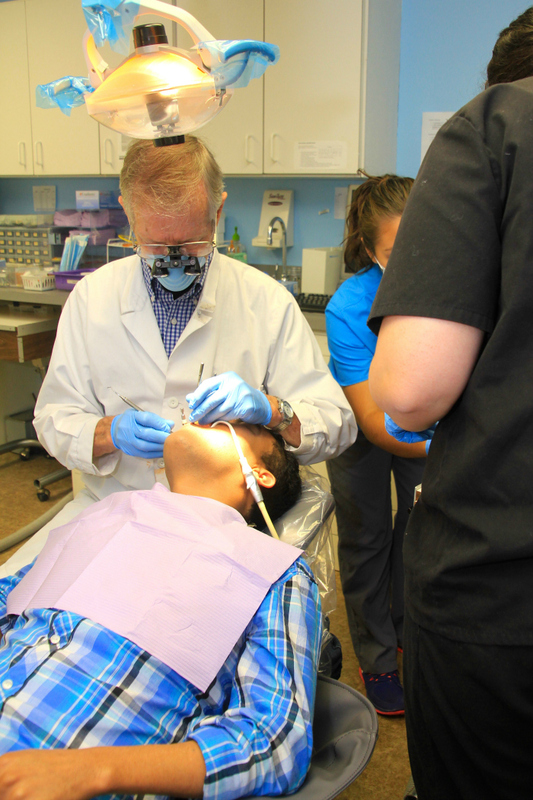 This past year, CrossOver expanded our dental services to better address our patient population’s urgent need for dental care, including increasing our dental staff, strengthening outreach and recruiting efforts for new dental volunteers, and expanding our dental referral network program. CrossOver also expanded our Social Work program. We hired a new family case manager to better address the needs of CrossOver families and children. Through grant funding from the Bob and Ana Lou Schaberg Fund, CrossOver also recently opened the Connection Center at our West End Clinic location. The Connection Center is a space where people newly arrived in our country can discover community resources, gain knowledge about their new home, and connect with others. After some minor construction, CrossOver has furnished the space with tables, computers, health and wellness educational materials, and brochures about various community organizations and resources. CrossOver purchased several computers with internet access so that patients can use the internet to search for employment, discover resources, and access information about their new community. CrossOver has opened the space to our community partners so that they may host events, trainings, and workshops, and we plan to continue to use the space to host CrossOver events and groups. Is your organization involved in any exciting collaborations or partnerships? CrossOver has many longstanding partnerships in the community, including collaborations with local hospital systems, nonprofits, universities and professional programs, social service agencies, and various philanthropic organizations. These collaborations enable us to ensure the highest quality of care possible for our patients, and CrossOver is continually seeking out new collaborative partnerships to expand our impact in the community. We are in the process of expanding our Community Pharmacy and has entered into a new partnership with the John Randolph Foundation & John Randolph Medical Center. Through funding from John Randolph Foundation’s Susie’s Fund for Medication Assistance, CrossOver recently hired two Medications Access Caseworkers who will be based in the John Randolph Medical Center and supervised by our Medications Program Manager. Currently, there are no safety net providers with a pharmacy or medications access program in Hopewell, and this partnership will address an unmet community need around medications access in that area. CrossOver has also established a partnership with the Richmond Justice Center and offers a medical home to their inmates upon reentry into the community. These formerly incarcerated patients have access to our wide range of healthcare and supportive services, which will help to facilitate a more positive, healing transition back into the community. How are you leveraging ConnectVA/The Community Foundation to achieve your mission? ConnectVA, and The Community Foundation , serve as key partners to CrossOver and provide essential resources to our organization. ConnectVA is an amazing resource for all local non-profit organizations and professionals. CrossOver has repeatedly received applications from highly qualified candidates through job postings listed on ConnectVA, as ConnectVA’s job finder has become the hub for connecting non-profit professionals with organizations seeking to fill positions in Virginia. The Community Foundation continues to be a strong supporter of CrossOver; the financial support and collaborative opportunities that CrossOver has access to because of this partnership with TCF plays a significant role in our ability to continue operating and working to achieve our mission. CrossOver is always looking for new, committed volunteers! Volunteer opportunities are available for licensed healthcare professionals, administrative volunteers, and interpreters. Volunteer opportunities for healthcare professionals include, but are not limited to: physicians, nurse practitioners, physician assistants, nursing professionals, dentists, ophthalmologists, chiropractors, and physical therapists. There is also a need for volunteer interpreters in Spanish and Arabic. CrossOver is always seeking out new volunteers who share our passion for serving the Richmond community.